Thank you Ren and Stimpy. 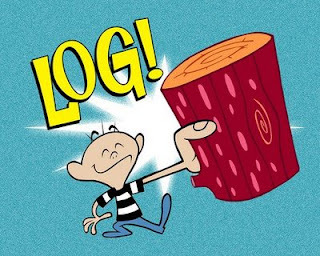 And thank you to my aunt who wrote to me on day and told be that on an official date she picked out, thus blog became a log. What can i say? I have been busy. There is work. There is holiday knitting (29 gifts done, 1 to go). There is charity crafting. (21 preemie hats--go me!) rW and I hosted his mother for Thanksgiving, and hat was also a lot of work. Since I last wrote I have also designed two shows, visited Ohio, made applesauce and canned it, made tomato sauce and canned it (with the help of rW! ), put up a Christmas tree, and blessedly reconnected with my friend penguingirl. I also made this, which was a lot of fun-but-time-consuming work. "oooohhhhh no! i have a pumpkin head! Dad, why are you laughing!?"